Whether you’re a one-person publishing operation or the leader of a large team, AMPA membership has something to offer. The member-driven non-for-profit association has been serving Alberta publishers and their staffs for more than 20 years through professional development programs, promotional services, recognition of excellence and extensive networking opportunities. AMPA has established criteria for determining magazine member eligibility. 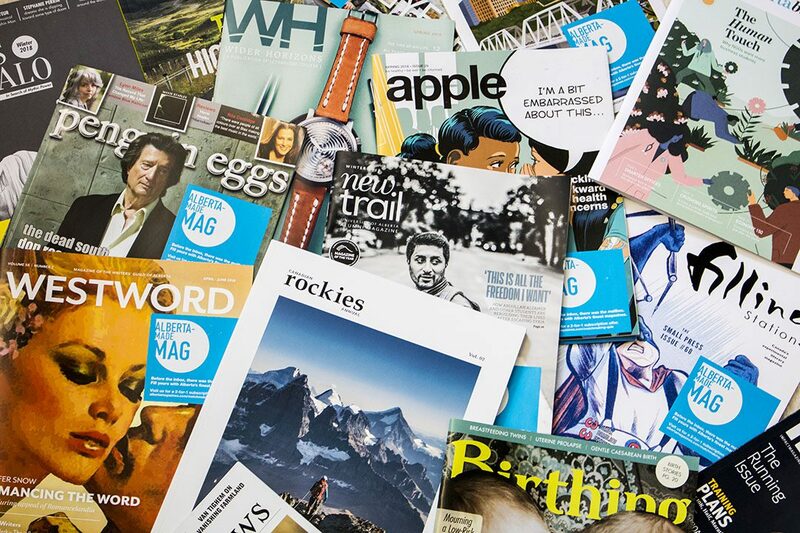 These set the association’s standards and definition of a magazine, provide clear guidelines for potential members to assess whether their publication meets the requirements, and outlines what we consider to be a sound model for the long-term sustainability of the magazine industry in general. The membership committee reviews all applications. Once an application is approved, applicants will be awarded either Voting Member or Affiliate status and receive information about how to access services and programs. If an application is denied, the reasons for the decision will be outlined in a letter to the applicant. The association will consider the merits of applications at its discretion. New members are required to pay the requisite membership fee within 30 days of invoice, and submit up to five copies of each new issue of its periodical on a timely basis to the association office. There are three levels of magazine membership: Voting, Affiliate and Probationary. A Voting Member shall be any individual, firm, partnership, proprietorship or institution that applies for Voting membership in respect of a Canadian magazine, journal or other periodical of a cultural, social, economic, political or artistic nature. Any publication deemed by the Association to be a house organ publication circulated exclusively to a club membership, will receive Affiliate Member status. Advertising catalogues, promotion publications, or daily or weekly newspapers are ineligible for magazine membership. Voting members have use of all AMPA programs and services, are eligible to stand for office, to vote at association meetings and to participate in association referenda. Businesses that publish magazines that meet all the criteria for Voting Membership but produce a publication with its membership as the intended audience, rather than the general public (i.e. alumni publications, house organs and member-driven periodicals). Probationary membership is open to publishers, at the discretion of the membership committee, who do not meet the criteria for Voting or Affiliate membership as outlined. Probationary members shall not be eligible to use the AMPA logo, stand for office, or vote at AMPA meetings. Full membership will be granted after a successful one-year review. Members of the freelance community are encouraged to join the Association as an individual member to receive preferred member rates for professional development, invitations to networking events and access to the Resource Library.